Fitbit’s trademarks include FITBIT and the Fitbit logo, along with product names, designs, images, slogans, colors, product shapes and product packaging. A non-exhaustive list of Fitbit’s trademarks can be found at www.fitbit.com/legal/trademark-list. Except in very limited circumstances (see Permissible Use), you must have written permission from Fitbit to use Fitbit’s trademarks. In all instances, everyone must comply with this policy and any other applicable terms. Don’t use any Fitbit trademark as, or as part of, a company, product, service, technology, or program name, or in any domain name, email address, keyword or social media user name. Don’t use any Fitbit trademark in a manner that is likely to cause confusion about the origin of any product, service, technology or other offering. Don’t use any Fitbit trademark in a manner that is likely to dilute, defame, disparage, or harm the reputation of Fitbit. 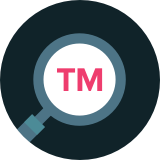 Don’t use or seek to register any trademark, name, domain name or other designation that is confusingly similar to any Fitbit trademarks. Don’t copy or imitate any Fitbit trade dress, font or type style, logo, product packaging or the look and feel of any Fitbit materials, including websites, blogs and other materials. Unless you have prior written permission from Fitbit, do not use any Fitbit logos. Developers should refer to the API Terms of Service and associated Logo Guidelines at dev.fitbit.com. If you are otherwise interested in our programs, please use https://www.fitbit.com/about#company-contact. Do not use Fitbit’s name or trademarks in a way that implies an affiliation, endorsement or association between you and Fitbit, unless you have prior written permission from Fitbit. Do not use Fitbit trademarks next to your name or the name of your products or services. Do not alter, adapt, modify or otherwise change any Fitbit trademarks. Do not combine Fitbit trademarks with any other letters, numbers, words, or any design or logo. Do not display any Fitbit trademarks more prominently than your name or your product or service name. Fitbit trademarks should not be the visual focus of any materials. Always ensure that Fitbit trademarks are visually distinguishable from your name and your product and service names. Use Fitbit’s trademarks as adjectives along with nouns that identify the relevant product or services (e.g., Fitbit Blaze™ smart fitness watch, Fitbit® activity trackers). We take the protection of our brand very seriously, as this helps protect our customers. Fitbit has strict quality control and design requirements to ensure product integrity and maximum functionality. Always buy from an authorized retailer of our products to help maintain the authenticity of our brand. If you suspect that you have purchased counterfeit products or believe a seller is involved in selling unauthorized products, contact brandprotection@fitbit.com. If you have any questions about this policy, or would like to report misuse of Fitbit’s trademarks, please contact trademark@fitbit.com. Fitbit reserves the right to modify or supplement this policy at any time. This policy does not constitute legal advice. If you have any questions regarding your legal rights or obligations, contact your attorney.